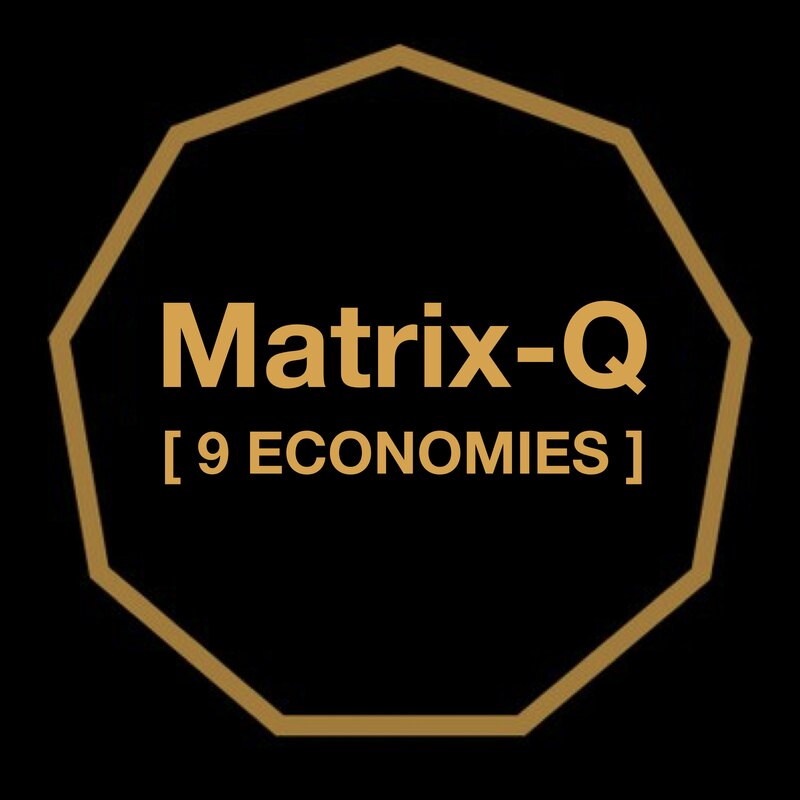 By considering the process of emerging of a global culture and civilization, the Matrix-Q Research Institute has done a first evaluation of the footprint created by leaders, organizations and governments, regarding their use of knowledge, tools, skills, methods, standards and technology, and their systemic impact on the process of achieving a global sustainable culture and civilization. A Matrix of 6561 variables for 729 indicators [Matrix 4.782.969] is being utilized for continues assessment. As for the results obtained, along 2016-2018, Luis Daniel Maldonado Fonken has arrived to the conclusion a serious footprint is hindering the achievement of the global sustainable development, and is in particular affecting the stakeholders ability and agility of achieving the 2030 SDG (17 sustainable development goals, by United Nations 2015). 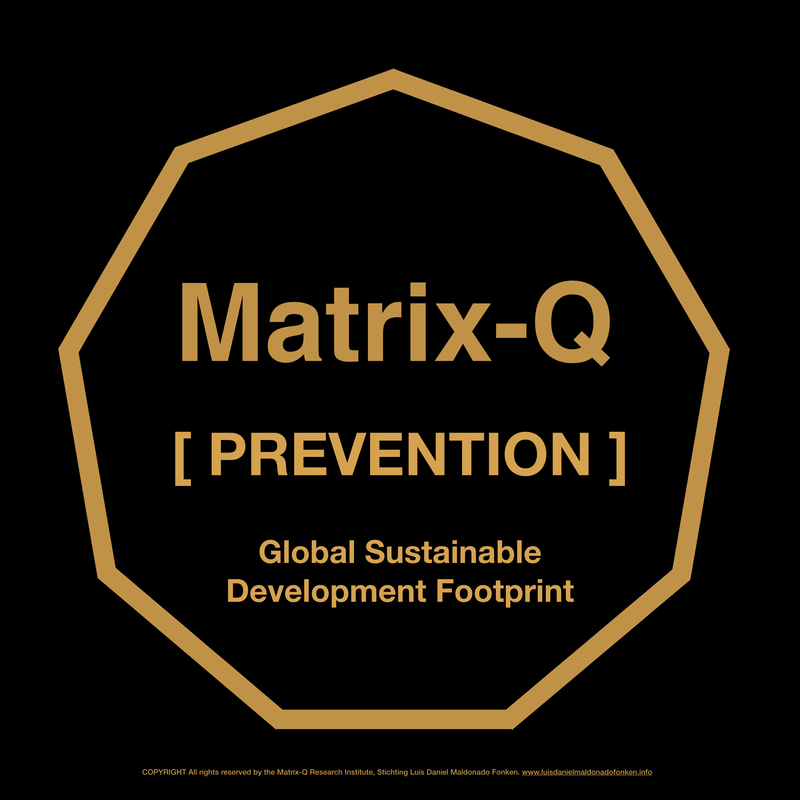 In its effort to prevent the degenerative and harmful effects of the global sustainable development footprint identified, the Matrix-Q Research Institute is engaging by applying preventive measurements. 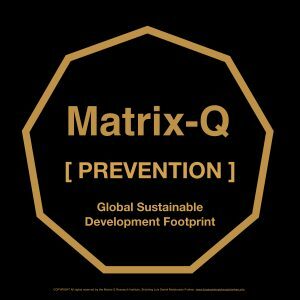 Are examples of the efforts the Matrix-Q Research Institute is dedicated to for the purpose of preventing the global sustainable development footprint. 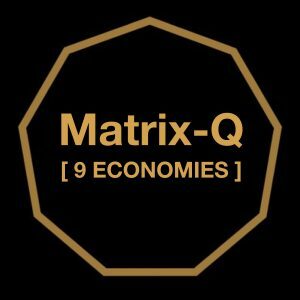 Among others, the Matrix-Q Human Enhancement Program, focus on supporting leaders advance their effectiveness and reduce their global sustainable development footprint. 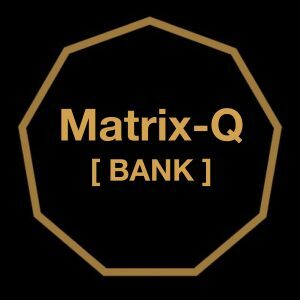 Matrix-Q Research Institute presentations on human potential studies, human stages of development and human species evolution stages (tools, skills, technology, methods, knowledge, standards) serves the Matrix-Q Human Enhancement Program by rising awareness and sharing information, involving stakeholders in prediction and risk management. Training programs dedicated to footprint prevention will be suggested in 2019. In particular along 2019 those with focus on: Gender equality, leadership, learning skills gap (education), emotional intelligence, systemic strategic management, collective intelligence, value generation, innovation and sustainable growth. “Every human interaction, with purpose of communication and collaboration involves learning and changing. The human factor variable of the global sustainable development equation needs to be solved in order to achieve systemic global sustainability, collective intelligence and sustainable growth. As it is the human footprint the cause, it is as well and not only, the human species, the one that suffers the consequences of such. The systemic approach for solving the global sustainable development challenges starts with the human factor, the human capital for change, with the understanding of the human stages of development, the human evolution time line, and, accordingly, the understanding of the need of implementation of human enhancement and leadership programs, which include global sustainable development footprint prevention knowledge, skills, tools, technology and instruction. The future, humanity and of the earth planet is responsibility of the human species, in particular of its leaders, knowledge holders and decision makers. Systemic collective intelligence and human enhancement are needs that can not be longer avoided, left aside, sidetracked or downsized in their pivotal importance and strategic value. “- Luis Daniel Maldonado Fonken.